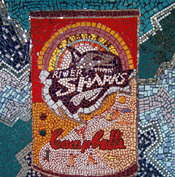 Take a virtual tour of some of the most colorful and exciting mosaics NetworkArts has created -- from schools and Parks to Camden�s Campbell Riversharks Stadium and Philadelphia�s Franklin Institute. Click here for the Case Studies. 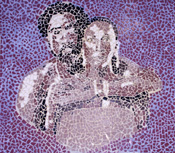 Click here for the entire mosaic program list. Click here for a more complete mosaic list (in Adobe Acrobat format).